After completing her college studies in India, Meena Gujral met and married her husband, a resident of the United States, and emigrated with him to begin the next phase of her life. She worked in hotel sales, but felt a pull towards real estate in 1986. “I got my real estate license the same year my son was born. It was clear early on that I wanted a career that would enable me to spend more time with him. Of course, what I did not realize at the time, is that real estate can be a 24-hour business. You work on weekends and in the evenings, but you can create your schedule around the needs of a family. Aside from the flexibility, one of the things that attracted me to real estate was the concept of home ownership. Helping people move into new homes and sharing in their excited feelings when they achieve that is very satisfying. You get to share in their happiness,” Meena said. 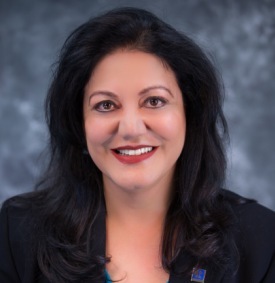 Meena’s Office, Help-U-Sell Achievers Realty in Pleasanton, California, cropped up in our year-end list of Top Producers for 2018, which highlights brokers that have the strongest sales numbers. Meena attributes her strong end-of-year close in part to being very social, with a strong push towards marketing herself. “I participate in a lot of networking groups around my city. There are a lot of social groups in my neighborhood, and I’ve built a good reputation doing short sale transactions. I also regularly publicize the amount of money I save clients on home transactions,” she added. Meena’s husband, Jasbir, is also a broker and involved with the business, primarily functioning as a mortgage broker. Plans for 2019 have Meena doubling what she did in 2018. “I’m really looking forward to what we achieve this year. I started January with three listings out of the gate, and I am working actively with two buyers. I’ve got a great focus on my goals,” she said. Moving into the new year, Meena is pleased. “Working with my husband is a huge asset. With his expertise in mortgage lending, he is able to quickly share information to make buyers feel comfortable with the lending process. With the two of us working together, it makes it feel like a one-stop shop. I really love the situation I’ve created,” Meena said. Which is a fantastic goal to achieve in anyone’s book. Welcome to the first official edition of the Top Producers report for 2019! We’re hoping with the new year being well under way that everybody has had an opportunity to put their business plans into full effect and are reaping the benefits that come with careful planning and fresh momentum. Our Don Taylor Award Winner of 2018 was Mario Ferrante of Help-U-Sell Metropolitan in Woodhaven, Michigan. Once again, Mario is making a spectacular start to 2019, coming in strong with 18 total sides. Kimber Regan of Help-U-Sell Hanford Lemoore, out of Hanford, California, came in second place with eight total sides. Kimber’s hard-working team consists of herself and eight agents. Kimber’s office popped up pretty regularly our Top Producers lists in 2018, so hopefully we can get her in the spotlight soon in a Broker Profile to learn her secrets to success. Third place comes in as a three-way tie. Marc Dosik of Help-U-Sell Federal City Realty has a total of six sides. 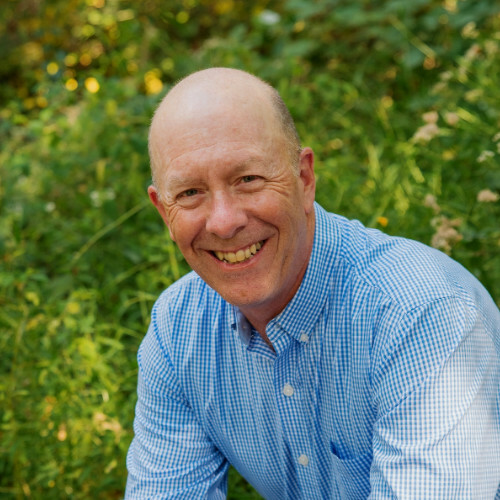 Mark’s team of 7 serves the Washington DC area, as well as Maryland and Virginia. Tying Marc for third place is Richard Cricchio of Help-U-Sell Honolulu properties, and Patrick Wood with Help-U-Sell Prestige Properties in Chino Hills, California. It’s a good sign and an auspicious start whenever the top 10 is not a top 10 because competing offices tie for the same place. Our Gross Sales Volume list starts of as equally impressive for 2019. Quite naturally, at the top of the list is Richard Cricchio from Help-U-Sell Honolulu Properties, coming in with nearly $6.7 million in sales. 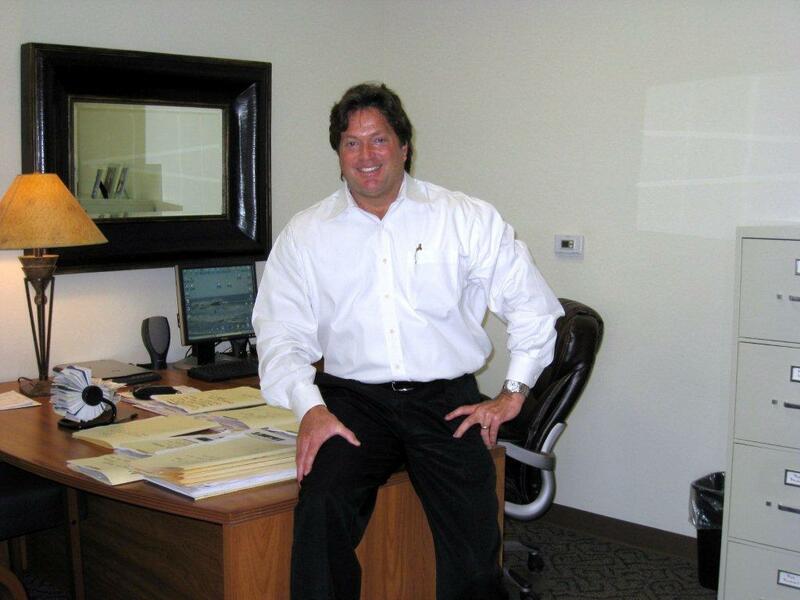 Patrick Woods office, Help-U-Sell Prestige Properties in Chino Hills, California comes in second place with $4.9 million. 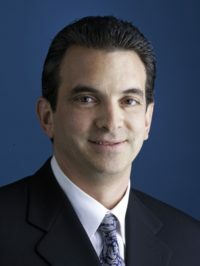 The ever-busy David Bartels is in third place with Help-U-Sell Full Service Realty and $3.1 million dollars in sales. Marc Dosik of Help-U-Sell Federal City does double duty by making an appearance on this list too, with a cool $3 million. Congratulations to everyone for a substantial start to 2019! 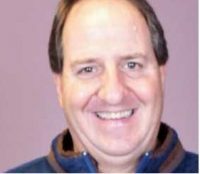 Matt Kellam of Help-U-Sell Keystone Realty grew up in Virginia and graduated from Shepherd University in 1976 with a degree in speech, drama, and mass communications with a focus on radio. He met his wife in 1977 and they married in November of that year. Matt then embarked on a career in radio. He started off as a DJ, became a program director, station manager, and ultimately a general manager. It’s well-known that radio isn’t a career that pays well, so Matt made a dramatic leap. Help-U-Sell is known for its single-sign-on platform, which makes it easy to do a number of real estate related tasks in one place, such as keeping contacts and leads organized, sending drip emails, customizing postcards, and platforms for text marketing and adding testimonials to your website. Matt explained, “I once sold personal computers, so I have always been ingrained in media and technology. One reason I like Help-U-Sell is they are always streamlining and improving.” Matt uses the Center of Influence postcards quarterly, and the Just Sold postcards. “I’ve also been doing more Facebook advertising for properties that are just listed. We get a lot of traction there,” he added. The Help-U-Sell Keystone Realty office landed in our Top Producers sales report recently. “That has happened twice in the 14 years I’ve been in business. Many things came together for an exceptional month. Most months for me are good, but the holidays are usually an excellent time for home transactions. According to NAR, the week between Christmas and New Year’s Eve is the time when houses for sale are the most viewed. During that week alone, I had three inquiries from sellers, eight listing appointments, and secured five listings,” Matt said. The built-in competitive advantage persists and thrives for Matt. “Once I give my elevator speech, I’m getting that listing most of the time. Once they understand that it isn’t voodoo, meaning they’re getting the same representation and expertise as they would from a traditional broker, they are all in. When I first opened, I got a lot of pushback from competitors, to the point where I caught them telling outright lies about my business. After a polite confrontation, I never had any more trouble. Home sellers either understand or figure out they’re going to save money and everybody wins. I get a lot of referrals from the family members and friends of clients who were happy with our services; yesterday we had a walk-in, which is a throwback to before social media took over real estate marketing. We stand out, we’ve always stood out, even when inventory is tight,” he said. “No holding back” sounds like a great motto for Matt and his team for 2019. 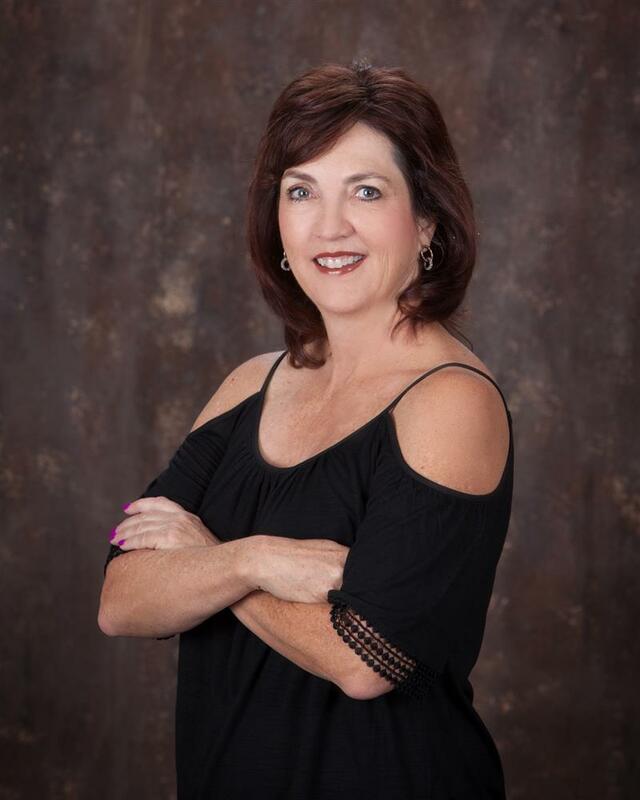 Cynthia Stevens of Help-U-Sell Central Properties in Chandler, Arizona went into real estate initially to help her friend’s business and earn extra income. She started her career as an educator having earned a B.S. in Economics, followed by an M.Ed (Master of Education). “I started teaching in 1989. It was fun and I loved working with my students. When I got into real estate in 1999, it was an exciting way to earn more because the real estate market was hot. I thought it was a great industry to be involved with,” Cynthia said. Drawn by the prospect of owning her own business, Cynthia opened her own Help-U-Sell Real Estate office in June of 2007. “My timing was terrible! There wasn’t a lot of time to enjoy growing my business before the recession. Real estate prices had plummeted in my region, and throughout the United States. I worked really hard, and learned how to do short sales. For example, if I had 20 properties listed, 18 of them were short sales, that trend lasted until 2010. Soon after, I got certified with Fannie Mae to sell REO properties (real estate owned), and primarily worked in REO sales through 2015. I did a ton of them! They are great because once you understand them, they are cut and dry; you do the task and it’s done. Prices were so good on the REOs, they were attracting many first-time buyers, which helped with my efforts,” Cynthia shared. The in-house marketing platform that Help-U-Sell incorporates is another reason Cynthia cites success. “The Arounds postcard program, the Sold and Saved postcards, and the Just Listed cards are what I use the most. The branded material looks great. The willingness to create custom materials that are high quality and attractive is also something I appreciate,” she added.